FDCC, 501, 5th floor, Vasundhara Space, Nagras Road, Aundh, Pune - 411007, Maharastra, India. FDCC is the brainchild of K.S. Babu; a developer with over a decade of experience in the real estate industry. He has satisfied the wishes & needs of many clients over the years, including NRIs, Pune industrialists, corporates, & families. 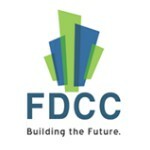 FDCC is a pioneer in land development, bringing value into new areas through their real estate projects. Our uniqueness is creating a benchmark in real estate by buying, leasing, & selling properties in new & upcoming areas. FDCC gives mileage to strategic locations. We have brought sustainable real estate growth into areas such as Hinjewadi, Baner, Pashan-Sus Road, Balewadi, Wakad, Mhalunge, and Pirangut and many more. Our raison d'être is the happiness & satisfaction of our clients. We understand our clients' needs & requirements, & find the perfect plot of land that will make their dream a reality. We add value to our clients' investments, providing real estate that will appreciate in time & maximise their returns. Our successfully completed projects, FDCC Rosalia, FDCC Lilianna, FDCC Zinnia, & FDCC Zibia, are testaments to our commitment to our clients. Another unique factor that sets us apart from other real estate companies is that we help maintain plots previously bought by our clients in the city. Whether it is land plot investment, property for real estate development or investing in a future home; our personalized service, transparency in transactions, & our focus on client needs give you quality, esteem, & value for a lifetime.